Every long-running franchise has its shinning stars; those parts of the larger series that are held up as the pinnacles of what the franchise has to offer. At the same time, every franchise also has its low points that everyone tries to sweep under the rug and forget about the best they can. Macross II is definitely not in the highly regarded category when it comes to Macross in general. 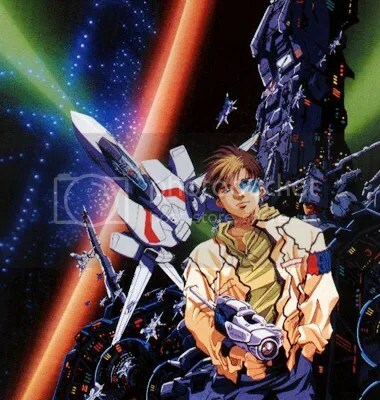 It was enough of a shame on the House that Hikaru built that it was barley recognized as anything but “a story from an alternate timeline.” Andrew from the Veef Show on Collection DX joins us to discuss what Macross II did to earn itself the reputation it has and in turn what it did right. All Points Bulletin: Up with Frankenweenie! Funny. At the liquor store I worked at they sold fairly briskly. They were not the best sellers (nothing sold better than box wine and cheap vodka) but they moved all right. That maybe just a factor of working in a liquor store in a college town. Macross II is underrated. It is actually the true sequel to SDF Macross. M7, M0, Mplus and MF are terrible shows that are nothing like true Macross. Argh, not only this podcast informed me on things I didn’t know about, and made me feel good that I am not the only one who likes parts of Macross II, but it also that song at the end of the podcast is so beautiful. Is that the song that was supposed to be alternate theme for Macross II? Apparently Because That Is the Future was originally supposed to be in Macross II but never made it into the finished show. It did appear briefly in an episode of Macross 7 & as well as on some Macross soundtracks.